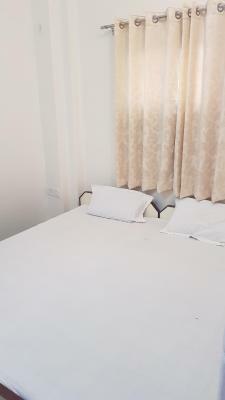 Definitely the staff jaggu and lucky are Very Friendly ,the breakfast was very good too.The location excellent and the place was very nice Awesome trip. The staff specially Mr Jaggu is very good for guiding and helping you for shopping and where you have to go etc. He is really very helpful as he is from Varanasi and knows each and every Gally. It's exactly in the Hanuman Ghat. I cannot assess this since on arrival, they turned us away in spite of having booking information. 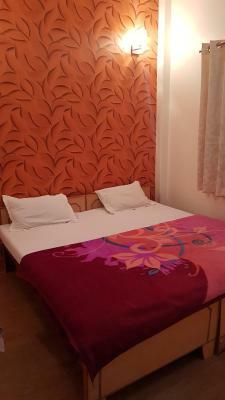 Nice hotel very near to hanuman ghat..Jaggu is very helpful in arranging everything. 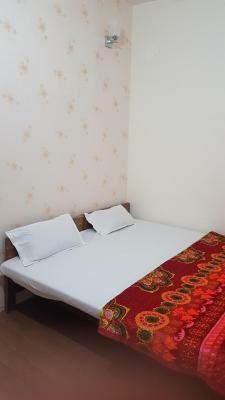 The rooms are modest and clean and there's no specific curfew timings for entry and exit while you are staying in the hotel. So if you love the hippie way of living or just want to engage into the ghats both morning and night ,this is the place for you! Do NOT miss out on their roof top restaurant which is a hit with the locals as well as all tourists who visit the place. It has a typical graffiti look with a beautiful ambience overlooking the Ghats. The staffs are the best takeaway for me when I visited this place! Do not forget to ask for Lucky, the guy who mostly runs all errands of the rest house and is a very friendly person! He can guide you from what places to see, to what to have while you are in the city. Here's hoping you will have a pleasant stay! Food was reasonable. Also the location. 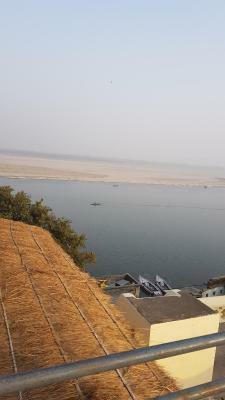 Terrace view of Ganga River is quite impressive. 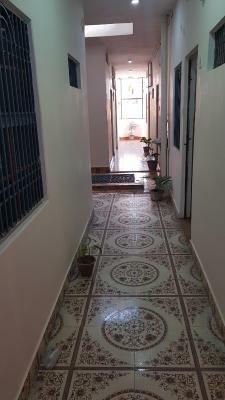 Featuring a terrace, The Shanti Rest House is located in Varanasi, a 3-minute walk from Harishchandra Ghat. Located around 900 feet from Kedar Ghat, the hotel with free WiFi is also a 19-minute walk away from Assi Ghat. Dasaswamedh Ghat is 1.3 miles away and Manikarnika Ghat is 1.7 miles from the hotel. Kashi Vishwanath Temple is 1.8 miles from the hotel, while Sri Sankata Mochan Hanuman Temple is 2.2 miles away. 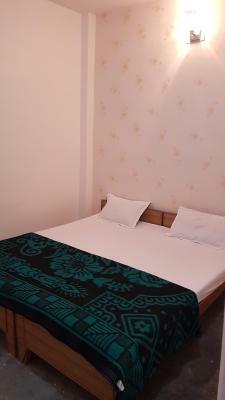 The nearest airport is Varanasi Airport, 20 miles from the property. 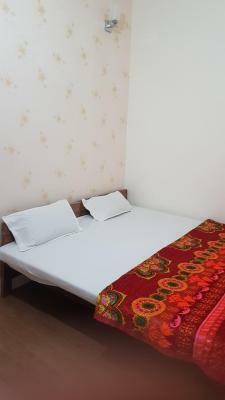 When would you like to stay at The Shanti Rest House? House Rules The Shanti Rest House takes special requests – add in the next step! Dirty and basic but this is what you get for the price. 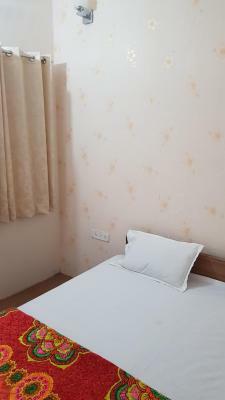 Small room no aircon but good value. Great location and views from top deck. Nothing worse than arriving somewhere, exhausted to be turned away. Have tried to tell booking.com but they haven't replied either. Had to find another hotel at 3 times the price. There's nothing to 'unlike' about this place! Situated in the lanes of Varanasi, near Hanuman Ghat, it provides you with an authentic Varanasi experience. Very very dirty. Très très sale. Quartier éloigné et très sale. Too far and very dirty area. Nothing at all. Vraiment rien. Housekeeping was sloppy. I checked other places in the area at that price and they were the same or worse. Location. It was right on the Ghats. If all you want is a roof and a bed to sleep, then I guess it is OK. The place, apart from the roof view, is quite deplorable. You can barely see the river from your room (as mentioned), there are lizards going in and out of your room since there is no glass in some of the ventilation windows. Cleaningness is inexistent. Besides the bed, there is absolutely nothing else inside the room, not a single chair, table or even a trash bin. Nothing. This might be one of the worst places where I've ever been.